This blog post was syndicated from Bryan Minear. It and the images in the post are being republished here with permission. There seems to be a divided mindset between the freelancers and their freedom, and the 9-5 creatives with their security and benefits. My story has less to do with those things and more to do with getting the most i can out of my job, and keeping my passion for the things i love. Let’s take a bit of a step back into my past so I can walk you through to where I currently am and hopefully give some insight to anyone in a similar situation. When I graduated college I freelanced all of the time. I did design work and photos for bands, banks, record labels, businesses, etc. I had clients coming in from all industries. I started shooting weddings, portraits, and commercial stuff. It was awesome for that phase of my life. Then I met Ashley (who would later become my wife) and within a few months of knowing her she relocated to Texas to pursue her dream job in interior design. It really inspired me seeing this girl up and move away from everything she knew to pursue something she loved. I knew that relocating would kill the photography business that I had built in Ohio where I had lived my whole life, but I knew I needed to make a similar move to both test my abilities and to be closer to Ashley. Otherwise, I was probably going to be stuck in the same situation for the rest of my foreseeable future. I knew that it would take some time to build a freelance presence in such a huge place like Dallas, so my best option was to seek out a full time design job and put my bachelors degree to use. Luckily I found a non-profit that was hiring, got the job, and moved to Texas. I continued to freelance in both design and photography in my spare time. It was tough at first, I was used to working all of the time, but never in a formal setting like an office, so after an 8-hour day, coming home and doing freelance work was the last thing on my mind. It took a lot of discipline and adjustment, but the biggest change was that I had to start turning things down, which I had never done before. It was actually pretty freeing to only have to take on the projects that really interested me. Before, it was all about making enough money to live on, but now that I had the steady paycheck, I really only wanted to do work that resonated with me creatively. And the extra money coming in was just icing on the cake. Settling into this groove was one of the best things i could have done for my career. In my experience, the clients that were the most demanding and difficult to work for, were also the ones that always tended to penny-pinch, lowball me, and take forever with payment. Eliminating those from my life freed me up to work for clients that actually seemed to value my work. Fast forward a year and a half, Ashley and I get married and move back to Michigan, where Ashley is from. I continued working remotely for the non-profit while they found someone to replace me in the office (This little stretch of working from home was really nice). Once that transition finally happened I had a decision to make. Either find a new job or go back to freelancing. I opted to freelance and booked the first quarter of the year with non-stop projects. Heading into summer things started to become more apparent that if I wanted to pursue photography full-time, I would need to get my own studio space, and I would need to become more of a salesman, putting together packages and having clients come in to view their images in order to persuade them to purchase overpriced prints, and that is not me. I like processes streamlined, I like to make art for the sake of art, not for the sake of making a buck. When it was clear that I needed to focus on building print packages, advertising and doing wedding expos, it also became clear that this whole thing just wasn’t for me. That is just not who I am as a photographer. It hit me like a ton of bricks that if I continued down that path, I was going to end up hating the thing that I loved the most. I begrudgingly started looking for, what I thought to be nonexistent, the “perfect” job. Luckily soon after making this decision, I found a graphic designer job posting and decided that it might be a great fit for me. All in all, I think I started writing this post because I know a lot of people that struggle with what they should be doing in life. Yes, there are monetary needs that need to be met, but more importantly, you need to be fulfilled. I genuinely love what I do during the day, and I love coming home to projects that I have hand-selected to take on. Having a full-time job gives me the freedom to ONLY do the projects that I want to do. No longer do I have to grasp at straws with nightmare clients just because I need to pay the bills. There is always a way that you can make that happen for yourself, even if you aren’t in the creative field. Figure out what makes you happy and make time for it. It is so satisfying when you do. Now, this may not be the answer for everyone. It might not even always be the answer for me. We are constantly evolving and what was satisfying at one point might not be later on, and that is perfectly fine. Just be willing to adapt, and try new things because you never know when that next revelation is going to present itself. But for me right now, I get to be a designer all day, and a photographer all night and every weekend shooting whatever I want to shoot, and I have never loved photography more. Bryan Minear is a Detroit-based Designer & Photographer currently working at Fathead. You can check out more of his work and thoughts by viewing his website or by simply following him on Instagram. All images were used with the permission of Bryan Minear. Guest Feature: First Impression of the iPhone 7 Plus... DSLR Killer? 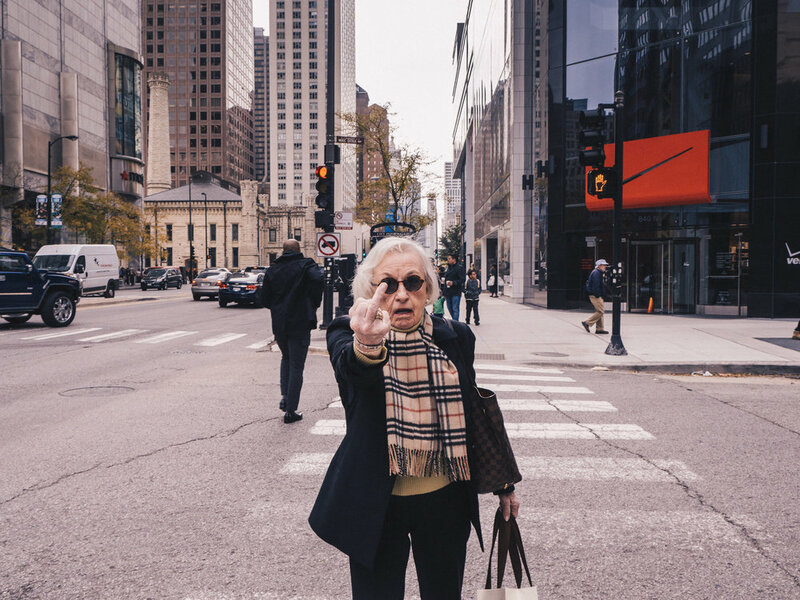 Guest Feature: What is “Street Photography” to Street Photographers? Guest Feature: Why I Made The Switch From Canon to Fuji Then Back to Canon.